We have posted resources on this page that we have found personally helpful in conversations, being there for another person, and even how we think about mental health. We hope these resources will help you or people you know. Feel free to get in touch with us for more material. 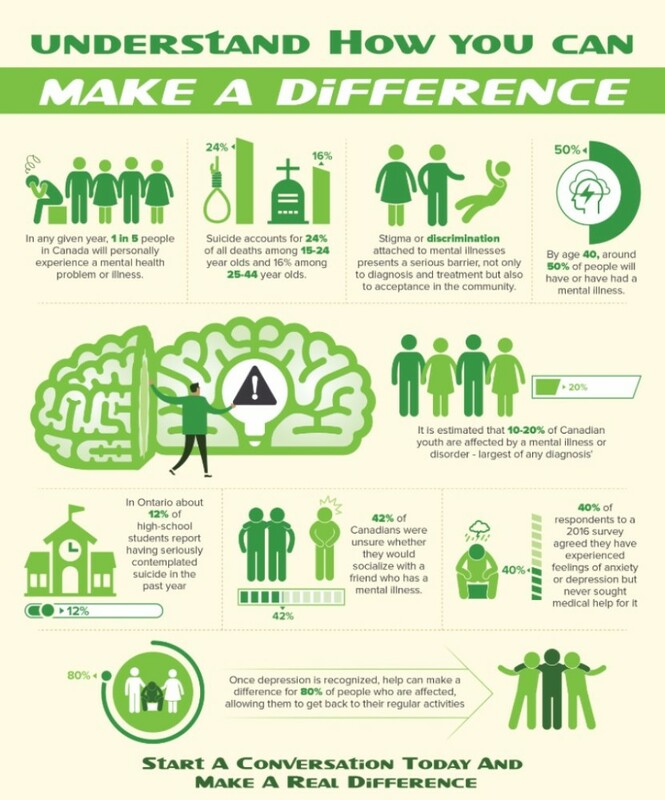 Prior to starting a conversation, understanding mental health in Canada is a critical first step. Open Arms has started a new campaign called "5 Days 5 Steps". Annually, we will be campaigning around 5 days in the Spring to educate all Canadians on the most effective steps to a conversation. In those 5 days we will have prizes, games, social events and so much more. Here are the 5 steps to a #START conversation that we will be sharing with all Canadians and a couple tips from us! Click Here for our Steps to a Conversation!